Easy Rye Bread. This is a lovely straightforward bread recipe for rye bread which gives you a soft bread texture. Great to eat on it’s own or use for sandwiches. Freezer friendly too! Easy Rye Bread! This is a lovely straightforward recipe and the bread is so soft in texture and delicious! You can make as a loaf or indeed rolls, freeze them, use for sandwiches, for breakfast, have with soup.. the sky’s the limit! This recipe has been generously shared by one of our great bakers, Carina Duclos. 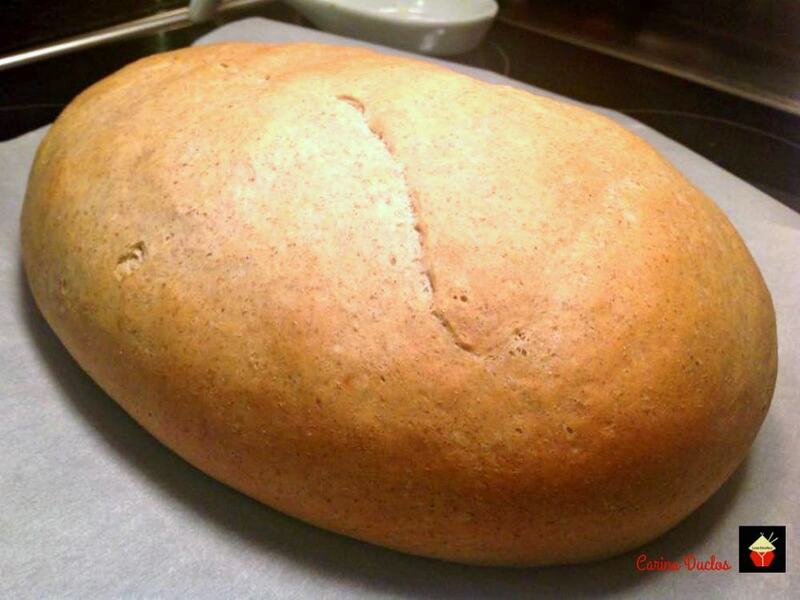 Carina often makes bread for her family and this is one of the popular ones for sure! 1. Combine the yeast, sugar, melted butter, egg, and milk in the bowl of an electric mixer fitted with a dough hook. Beat on low speed for 1 minute. 2. Add the salt, rye flour, all-purpose flour, and caraway seeds. Beat at low speed until all of the flour is incorporated, about 1 minute. Then, beat at medium speed until the mixture forms a ball, leaves the sides of the bowl and climbs up the dough hook. 3. Remove the dough from the bowl. Using your hands, form the dough into a smooth ball. Lightly oil a bowl. 4. Place the dough in the bowl and turn it to oil all sides. Cover with plastic wrap and set aside in a warm, draft-free place until it doubles in size, about 1 hour. 5. Preheat the oven to 350 degrees F and lightly grease a 5 1/2 by 9-inch baking pan. 6. Remove the dough from the bowl and invert onto a lightly floured surface. Gently knead the dough several times. Tuck and roll so that any seams disappear into the dough and place in the prepared baking pan. Cover with plastic wrap and set aside in a warm, draft-free place until it doubles in size, about 1 hour. 7. Use a pastry brush to brush the egg lightly over the top of the dough. Bake until lightly brown, about 45 minutes. Remove from the oven and cool on a rack. Combine the yeast, sugar, melted butter, egg, and milk in the bowl of an electric mixer fitted with a dough hook. Beat on low speed for 1 minute. Add the salt, rye flour, all-purpose flour, and caraway seeds. Beat at low speed until all of the flour is incorporated, about 1 minute. Then, beat at medium speed until the mixture forms a ball, leaves the sides of the bowl and climbs up the dough hook. Remove the dough from the bowl. Using your hands, form the dough into a smooth ball. Lightly oil a bowl. Place the dough in the bowl and turn it to oil all sides. Cover with plastic wrap and set aside in a warm, draft-free place until it doubles in size, about 1 hour. Remove the dough from the bowl and invert onto a lightly floured surface. Gently knead the dough several times. Tuck and roll so that any seams disappear into the dough and place in the prepared baking pan. Cover with plastic wrap and set aside in a warm, draft-free place until it doubles in size, about 1 hour. Use a pastry brush to brush the egg lightly over the top of the dough. Bake until lightly brown, about 45 minutes. Remove from the oven and cool on a rack. Will mixing by hand not work? Why is that? I have to say after reading the comments, some folks are hard to please. Hi Chris, I know! Mixing by hand will always work with bread as you know. It just takes a little more effort! I found this recipe to start breads in a bread machine. The idea being to let the machine start the bread and finish up in oven. Picture shows lovely free form loaf baked. I have MS. Recipes that use the bread machine to start the bread ARE VERY IMPORTANT in my choice of recipes. I was very disappointed to find that the recipe didn’t even have a bread machine mentioned. Please get your recipe moved to a different catagory. Thank you. Hi Barbara, sorry you were disappointed to find this under a bread machine category, I’m not sure why it came up in your search because it doesn’t mention bread machine anywhere in the recipe! However, you could adapt and certainly start it off in your machine. We do have a lovely cinnamon and raisin bread machine recipe here if you’d like to try it https://lovefoodies.com/cinnamon-raisin-bread/. It’s delicious! I thought this recipe was for RYE bread??? What’s w/the 21/2 cups of white flour? NO THANKS!! 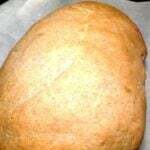 The picture of your bread looked like it was not baked in a 9×5 pan but a flat sheet and it looks much bigger. 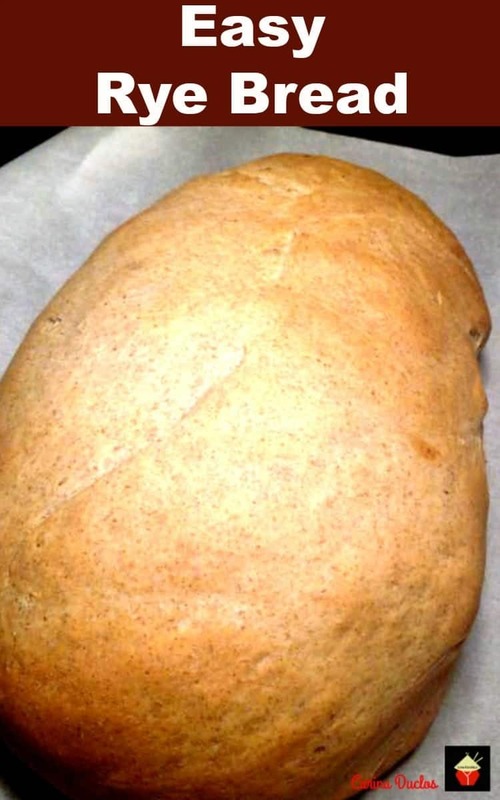 It would be nice if you showed us what your bread actually looked like according to recipe. This is a good recipe but it requires some adjustment. There’s no need to turn the oven on one hour before the bread is going into it. Also, it makes two loaves not one. Not sure what happened but when I brushed the beaten egg onto the risen loaves, one of them collapsed by about an inch. I might skip that step next time since the rest of the loaf is a nice brown without the egg. Where do you find rye flour? I don’t have any caraway seeds. Will it be okay without them? Hi Sharron, sure, you can leave them out or even swap with another seed. For health reasons I cannot eat white flour. Are there any recipes for rye bread that do not include any flour but rye or pumpernickel?